BlackBerry Headsets Comparison - Headsets Direct, Inc.
3.5mm jack limits your wired headset choices. Luckily we have what you need! Using a Bluetooth headset or earpiece on your BlackBerry gives you wireless freedom with crystal clear sound quality. 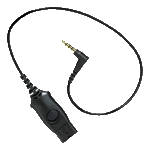 The Voyager Legend continues to be one of our best sellers using an extended microphone for great voice pick up. With multiple microphones, it’s able to target your voice and decipher unwanted background noise, making it easier for your caller to hear you clearly. Up and Coming – The Voyager Edge. Technology at a new level. 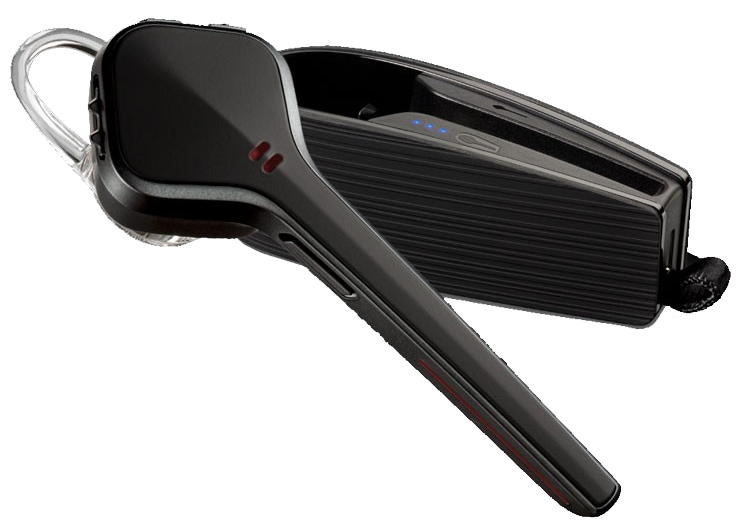 The Voyager Edge headset is light weight, stylish, and extremely powerful to pair with your BlackBerry phone. Included is a rechargeable case to provide 10 hours of extra talk time. This is a great option for users on the go and those who don’t want to worrry about leaving cables behind. With the base tucked away in a case or purse, you always have a safe place to store your headset while simutaniously charging it before it’s next use. We offer a great BlackBerry headset comparison guide detailing the latest Plantronics earpiece options and microphone designs. You will want to decide on key factors such as; what is your perfect wearing style, what models have the talk time to get you through the busiest of days, preferred models with great standby time if you’re only an occasional user, does distance come into play if you need more than the standard 33 feet of distance with most Bluetooth models. Check out the latest models and videos at Bluetooth Comparison Guide. Need a Commercial-Grade Wired Solution? Plantronics has the solution you’ve been looking for! 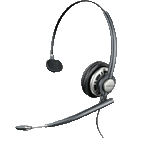 Use any of the top-of-the-line H-Series headsets with cable (38541-02 see below) for a wired BlackBerry headset solution. Both standard microphones and noise-canceling microphones are available in a variety of wearing styles. If you’re simply more comfortable with a cord and not wanting to worry about having another device to charge, our H-series headsets will be your perfect solution. Simply plug the cable into your mobile phone and start talking. It’s that easy, and you’ll never worry about the battery dying. Using the Plantronics 38541-02 cable lets you plug any Plantronics H-series headset (with quick disconnect) into your BlackBerry’s non-standard 3.5mm headset jack. The quick-disconnect connection has a call-control button to assist with call management, making headset usage even easier on your BlackBerry. Convenience at its best. How Do I Order Headsets for My BlackBerry? Just give us a quick call at 1-800-914-7996, or order online. How easy is it to connect a Bluetooth headset to an BlackBerry? It will take you 2-3 minutes to be up and talking. You simply put the headset into pairing mode, have your phone search for Bluetooth devices, and your headset should appear. Choose your headset model to connect and you’re done. What is Smart Sensor Headset Technology? Headsets with Smart Sensors only connect to your phone when it’s on your ear. You will never again be talking into your phone and realize your headset is the active device sitting in your pocket or purse with your caller yelling “Are you there?”. How is the quality of Bluetooth headsets on a BlackBerry? Technology has advanced Bluetooth audio quality to amazing levels. With the latest AudioIQ3, Windsmart, and DSP technology built in, your caller won’t be able to tell you’re on a Bluetooth headset whether you’re in the office, the mall, or cruising down the highway. How easy is it to use the BlackBerry corded headset and cable solution? As simple as plug-n-play. You plug the BlackBerry cable into the headset and your BlackBerry, and your BlackBerry does the rest. It’s really that easy. Just start making calls like normal, but enjoy the convenience of hands-free communication.